This small photo just two inches wide is marked on the back as above plus Standard IIIA. It is written by the same hand as the other ACS Senior Cambridge Class 1950 on this blog. 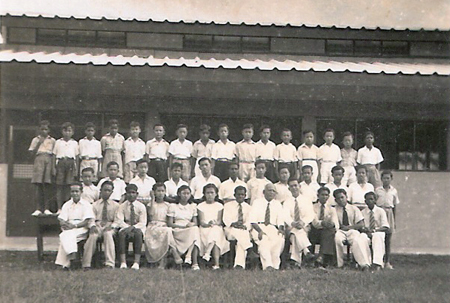 Did the school change its name from ACS to MES in 1951? Is there anyone out there who attended the school at that time? Please let us have any information you might have. Thanks. Hi Edwin and welcome to the blog! most gratifying and satify my nostalgia.